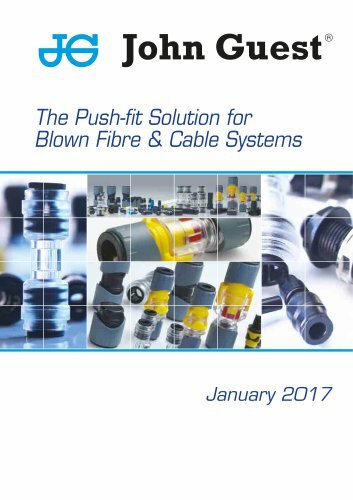 A Range of Push-fit Connectors specially designed and produced for blown fibre and cable applications Fibres/Cables can be blown through most connectors in either direction (check with product data sheets). To make a connection, push the tube into the fitting. The unique John Guest locking system then seals and connects the microduct tube providing a seamless path for unhindered fibre bundle or cable passage. For additional security ie. direct buried applications, the ‘Speedfit Secure’ range incorporates an integral collet locking feature.